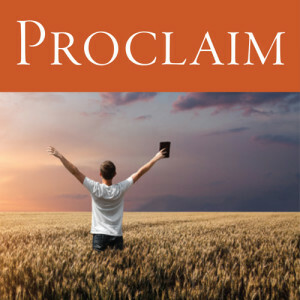 Week Three in the Living Lent series is based on the word PROCLAIM and reminds us that our proclamation of the Savior brings faith to life. Bible Study, Wed. 2/24, 6:30 p.m., dinner prior at 6 p.m.
Sermon, Sun. 2/28, 11 a.m.
Bible Study, Wed. 3/2, 6:30 p.m., dinner prior at 6 p.m.
Sermon, Sun. 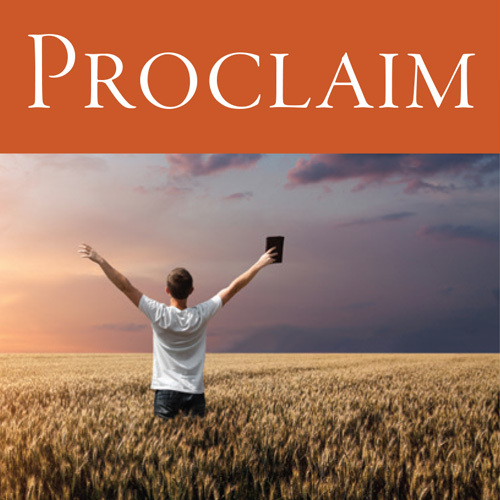 3/6, 11 a.m.
Bible Study, Wed. 3/9, 6:30 p.m., dinner prior at 6 p.m.
Sermon, Sun. 3/13, 11 a.m.
Bible Study, Wed. 3/16, 6:30 p.m., dinner prior at 6 p.m.
Sermon, Palm Sunday Worship 3/20, 11 a.m.
3/24, 7 p.m., dinner prior at 6 p.m.